Disclaimer: The product mentioned in this post is bought with my money. I am not affiliated with the company nor getting paid to advertise the product. This post is written with my honest opinion. Please don't forget to enter Reviva Labs Ultra-Potency Vitamin C + Antioxidant Serum with Emblica Giveaway. It ends May 31, 2016 at 11:59 p.m. PST (Pacific time). At The Makeup Show LA 2016, I bought some products. I took this picture from my Instagram. I have already reviewed Make Up For Ever Artist Lip Blush in Exalted Rosewood (bottom middle). 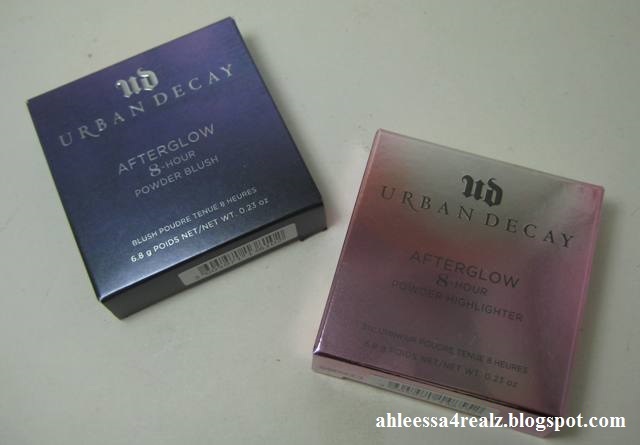 I was fortunate to receive a blush from Urban Decay from the Blogger Preview at The Makeup Show LA 2016 which I will review in the future. For this post, I am going to review the highlighter on the right. Description from the package: Create a glow strobed effect that won't quit. 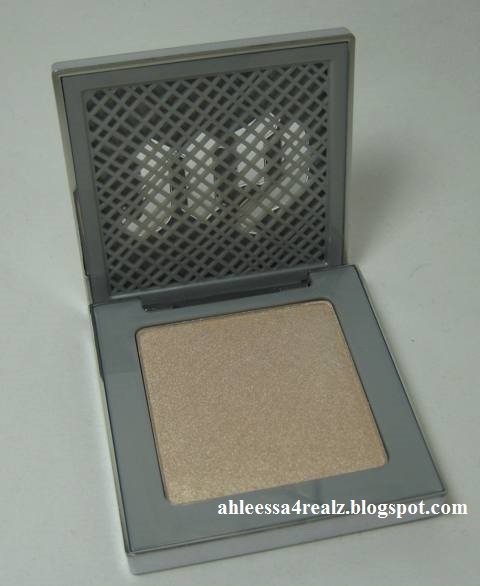 This lightweight, finely milled powder highlighter feels super soft, blends easily and delivers up to 8 hours of wear. Isoeicosane, Silica, Trimethylsiloxysilicate, Zinc Stearate, Dimethicone/Vinyl Dimethicone Crosspolymer, Triethoxycaprylylsilane, Polypropylsilsesquioxane, Polyisobutene, Caprylyl Glycol, Phenoxyethanol, Methicone, Tin Oxide, Hexylene Glycol, Laureth-4. [+/- (May Contain/Peut contenir): Mica, CI 77891 (Titanium Dioxide), CI 77491/77492/77499 (Iron Oxides)]. Thoughts: When I first saw this in person and swatched it on my hand, I knew I had to get it. It's gorgeous! Not only that and it might only be me when I hear it's a new product from any brand, I am drawn to it. Here's how it looks open. Here's a closer look at the powder. 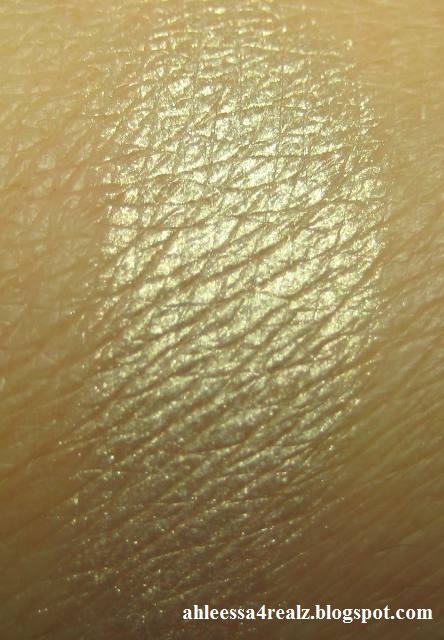 Here's a swatch of the product on my hand. Here's how it looks on me. 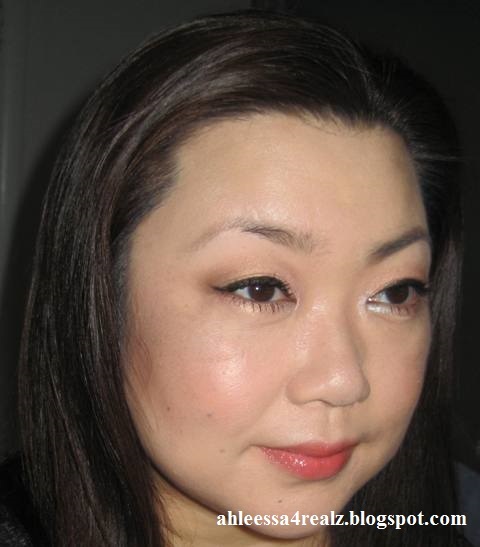 I applied it on the high points of my cheeks, the bridge and tip of my nose, and cupid's bow. Here's an overall look with Lancome Auda[City] in Paris Palette and Yves Saint Laurent Rouge Pur Couture Gloss Stain in Corail Aquatique on the lips. Now for my overall opinion... First of all, it's light-weight with magnetic closure/opening. I actually like the packaging. I hate when I need to dig into the opening to open. I usually break my nails or chip the polish. With this, it's extremely easy to open and close. I don't even need to use my nails. Secondly, the consistency is buttery soft and pigmented. 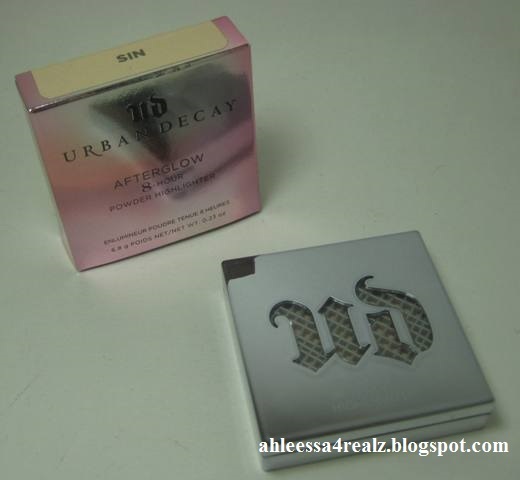 The powder reminds me of their blush and eyeshadow powders. How they're soft and feels great on the fingers! There are hardly any fall-outs and easy to apply. With that said, the color is opaque. It'll look great on medium to dark skin individuals. With my light to medium skin, I notice it well on my nose especially the tip and cupid's bow. I notice it on the pictures the top part of the cheeks but I don't seem to notice it much in person. It's probably me and my bad eye sight. Lastly, it's lasted all day on me except cupid's bow. It comes off when the lip color is rubbed off. It also doesn't make me look greasy as time goes on. It looks nice. This is great on all skin types especially normal to dry skin individuals. * Great for medium to dark skin individuals. * Lasted all day on me except cupid's bow. * Doesn't make me look greasy. * Great for all skin types especially normal to day skin. * I don't notice it much on the high points of my cheeks. 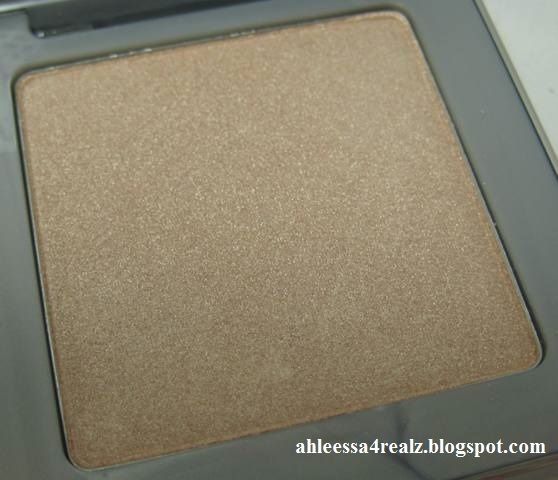 Don't forget to enter Stila Shimmer & Glow Liquid Eye Shadow Giveaway. It ends December 11, 2018 at 11:59 p.m. PST (Pacific time).